BIP0064 – Not yet. | Conformal Systems, LLC. I won’t argue that btcd has better unit testing than Bitcoin Core. Whoever Satoshi was, he showed no familiarity with post-1995 software development techniques and that includes a complete lack of any unit tests and therefore a testable codebase. Any modern implementation should do better. The reason the getutxo patch does not have any unit tests was not lack of trying. The reason is that Core lacks any infrastructure for unit testing at all. You cannot currently build fake chains or inject test messages and get the responses back. Making Core a fully testable codebase is a big job that nobody has really tackled even after five years. Sergio has made a start now and that’s good to see, but there’s still a lot of work left. It’s indeed this kind of grunge work that I’m hoping to crowdfund money for. With respect to your bug report – thanks for testing, although I think you’re being excessively aggressive about it. There are lots of ways to make Bitcoin Core run out of resources. You discovered one by locating a giant output on the testnet, but this is symptomatic of a more general problem – Core has no kind of resource monitoring or scheduling beyond lots and lots of ad hoc checks. People discover issues like this every few months and that’s without any kind of comphrensive audit. The best way to fix this is with infrastructure, not memes. For the record, Hearn : you’re a miserable piece of scum. Your “involvement” in Bitcoin consists in trying to break the thing. This isn’t some sort of secret, to anyone. Go back to the shithole you came from, douchebag, your utility to your handlers is epsilon already. For the average innocent trying to get involved in Bitcoin this late : do your research before using the thoroughly compromised power ranger codebase that Hearn and the rest of the USG stooges are maintaining. They’re not here to help you, they are here to defraud you. They don’t work towards your freedom but towards limiting it, and they don’t work for you, they work for your enemies. There’s very good reasons nobody uses their crap, don’t let them take advantage of your naivite & ignorance to create another victim. it’s unbelievable that developers are throwing everything and the kitchen sink into the protocol. I’d never heard of this change, which shows how fast people are pushing for poorly thought decisions that impact the entire future of Bitcoin. It’s like people have got bored with the crappy bitcoind codebase and are looking to add all their favourite new features to the protocol. Very very bad decision making be shown on that github thread. Innovation should happen on the IMPLEMENTATION level *not* the protocol which should stay pure, focused and simple. This thread conversation shows a totally disregard in attitude for integrity and security of the Bitcoin system. Have developers lost their mind? Amir Taaki has done, and continues to do, huge disservice to anyone serious involved in Bitcoin. Now how come it’s just you two pieces of dogvomit trying to crowd up the discussion ? Oh, because that’s the job. ESAD. >It [btcd] has 100% test coverage, meaning it can find bugs before implementing the new API into btcd. But could find no test suite. 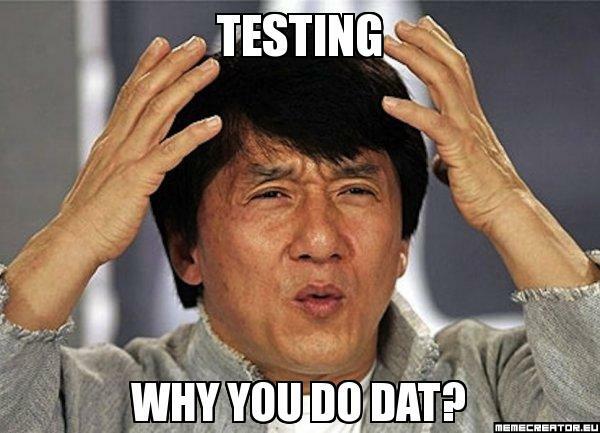 Where are the tests located? If you go to the linked btcwire repo and click on the test coverage badge, you can review the test coverage in-depth. This is about the wire protocol, so btcwire is the package that implements that portion. Other fundamental packages are similar in their coverage such as https://github.com/conformal/btcnet and https://github.com/conformal/btcec. Commits like this need review. Lots of review and attention. I love the devs, but get eyes on this one.